On Tuesday night, Leah, Aurore, Noel, and I went to Bistrot La Minette, a restaurant owned by Peter Woolsey who is a renowned French chef. Tucked away in a narrow street in South Philly, Bistrot La Minette reminds me of a small European cafe–quaint, unique, and homey. In particular, I loved how the string lights on the windows added to the restaurant’s homey aesthetic. When I walked in, the first thing I noticed was the long red couch that lined an entire side of the restaurant. Inside, were beautiful marble tables and soft lights all throughout the restaurant. The waiters and waitresses wore white dress shirts and red vests, which I thought fit in well with the restaurant’s overall theme. When we were eating, the lights were slightly dimmed and soft French music played in the background. We saw couples enjoying each other’s company and the noise in the restaurant was at a low and comfortable level. In the words of Executive Chef Kenneth Bush, the restaurant is unlike any other as it offers home cooking for restaurant goers. Each month, the restaurant prepares food that is from a particular region of France. April’s region is Savoie, France’s alpine area. 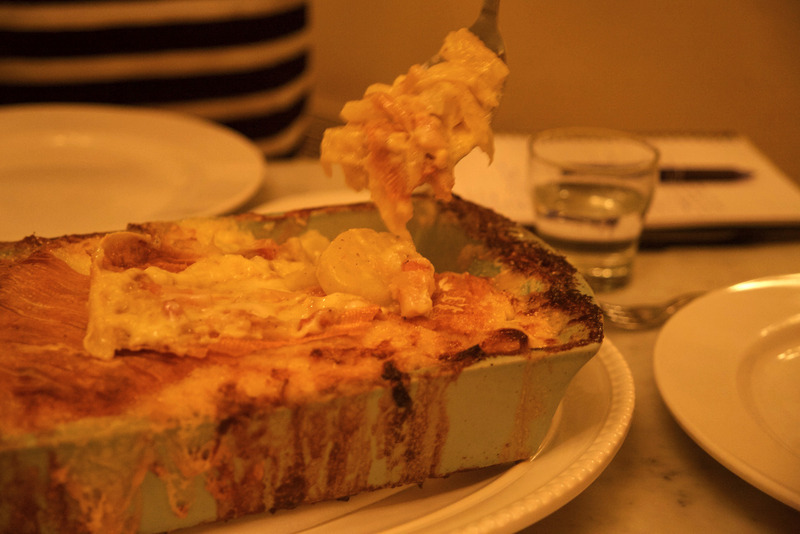 So, we tried the Tartiflette Menu, a four-course meal for a group of four. We were first served a root vegetable soup. Inside were chives, crème fraîche, Comte cheese, and croutons. The croutons were soft and had thick and stringy cheese inside. The croutons’ chewy consistency reminded us of that of sausages. We thought that the soup was a simple yet unique dish and a nice way to start off the meal. Bistrot La Minette prides itself in serving home cooked meals. This soup was no exception, and it reminded us of something we would eat on a rainy or sick day at home. After finishing our soup, we were served the Salade Savoyarde, which was made of Bibb lettuce, fresh mushrooms, pine nuts, buttery croutons, diced ham, Comte cheese and Dijon vinaigrette. The lettuce was incredibly fresh and everything else complemented it well. I enjoyed this salad so much because the main component, lettuce, was crunchy and of high quality. While this colorful salad was prepared with purple, red, and green ingredients, overall it was well put together and did not look too busy. The vinaigrette was subtle, yet tasty. It brought the entire dish together very well. The Tartiflette was served family-style in a large ceramic baking dish. Having eaten many individually served meals recently, I forgot how much I enjoyed having this small yet truly familial aspect as part of our meal. We were also served a plate of pan fried string beans with caramelized, chopped onions as our side dish. Tartiflette is a baked dish originally from the French Alps. An entire roll of cheese was used to prepare this one dish. 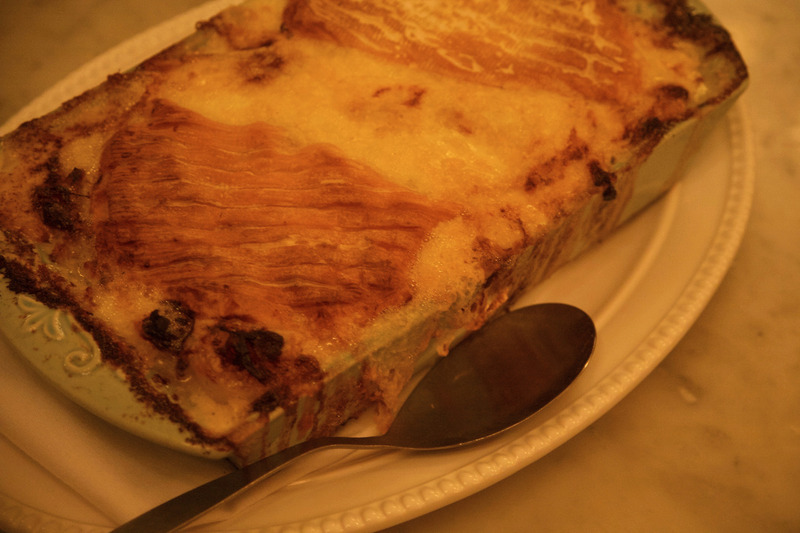 Gratin potatoes lined the bottom of the pan, and the Vin de Savoie (wine) floated to the top layer of cheese. A hot and gooey mixture of bacon, onions, and Reblochon cheese was tucked in between the top and bottom layers of this dish. While the dish was filling, it was not over-the-top rich or heavy. The layer of cheese on the top, which was golden and slightly hardened was my favorite because it contrasted well with the chewy ingredients inside. 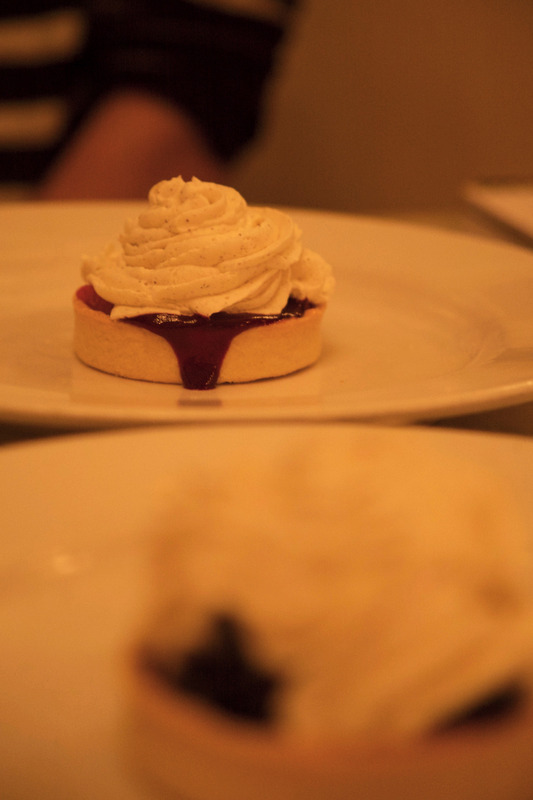 For our dessert we were served the Tarte aux Fruits des Bois, which was a mixed berries tart. It included blackberries, raspberries, blueberries and strawberries, with piped frosting on the top. The dish had the perfect balance of the jam’s sweetness and fruits’ tanginess. This was a memorable way to end a lovely evening. I truly appreciated hearing about Chef Bush’s passion for French country food. He believes that quality food does not necessarily have to be incredibly fancy. “The food should speak for itself”. Chef Bush values fresh ingredients and a thorough food preparation process. 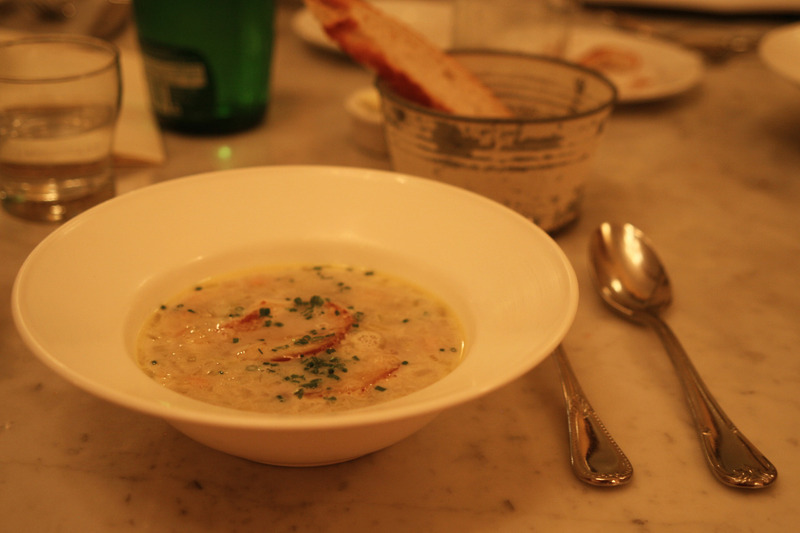 Overall, eating at Bistrot La Minette was a truly relaxing and and enjoyable experience. 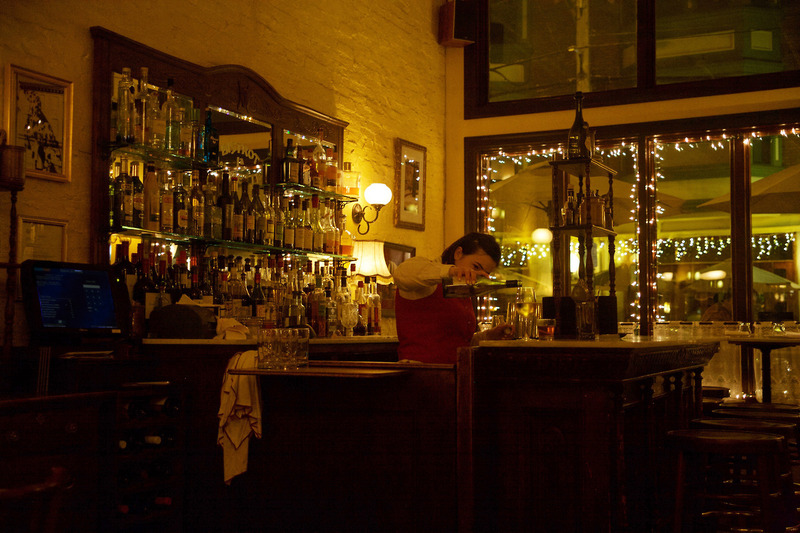 Bistrot La Minette is the perfect restaurant to visit with a group of friends or family.